1 Rinse chicken under cold running water and pat dry with paper towels. Season the chicken with salt and pepper and dredge in flour. Dip the floured chicken in egg and coat with breadcrumbs. 2 Heat the oil in a skillet set over medium-high heat. Cook the chicken in the hot oil until golden brown and cooked through, about 3 minutes per side. Drain on absorbent paper towels. 3 Spread mayonnaise on the cut sides of each bun. 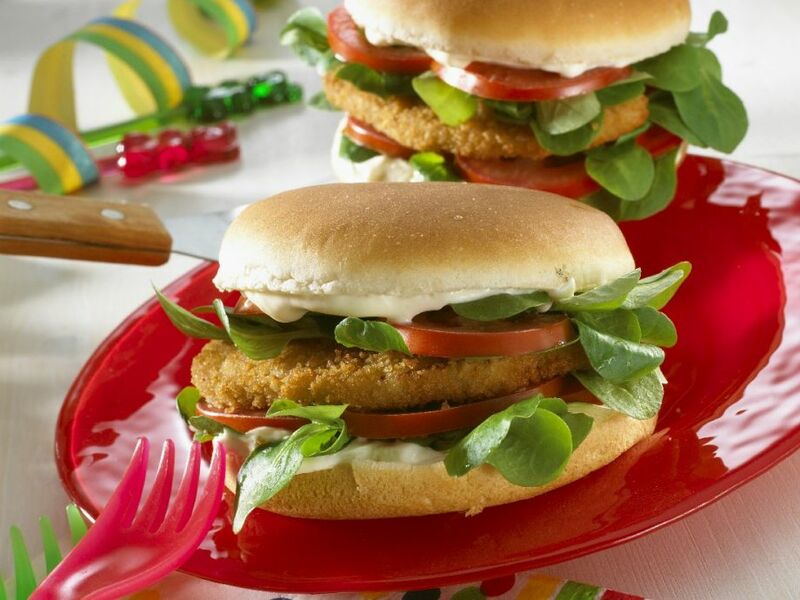 Place arugula, sliced tomatoes and prepared chicken burger on the bottom bun half and top with additional arugula and tomato. Place the top half of the bun on the burger and serve.